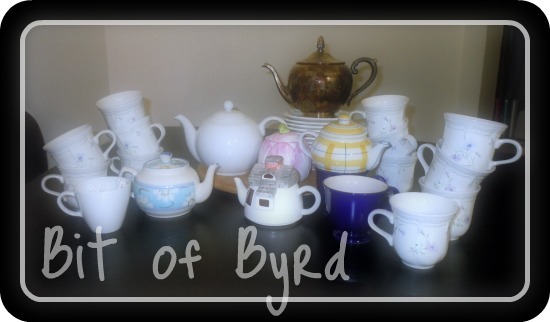 Bit Of Byrd: Thankful Thursday- Resale Shops! 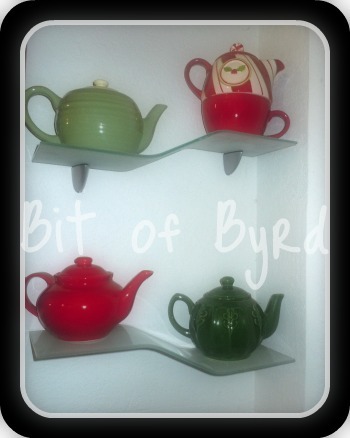 Without Resale shops and Goodwill I wouldn't have been able to acquire so many great tea pots! Now why would anyone need so many tea pots and tea cups... well silly, you must not be reading regularly! It is okay, you can get caught up by going and reading about the AIW theme that is currently going on. Now Goodwill, once a month, has a half off day! That is when I was able to score most of the pots. 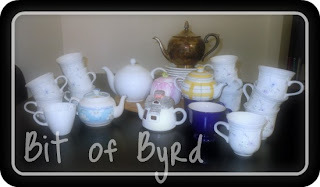 Truthfully, it was over the course of a few months and a few trips to the three different Goodwills around me. Considering I started planning an April birthday in November, I had time.